How often do you feel overwhelmed by all the random stuff that constantly piles up in your inbox? For me it’s pretty much 24/7. And I think almost everyone who runs their own business feels the same way. There’s seriously a thousand things going on at any given time. So I thought it was worth writing about. To successfully manage all of this input and successfully achieve your goals, you need to maximize productivity. And to do that, I use a mix of goals, mindsets, and technology. Read on to find out how I keep myself productive, the best business productivity software for your company, the importance of time tracking, and a great story of how our app helped UpGiant become more productive. Goals are first for a reason: because most of being successful is knowing what to do. Goals are your “what” (your “why” is also important). Goals keep you focused on what matters. Set your goals according to what you want to accomplish. 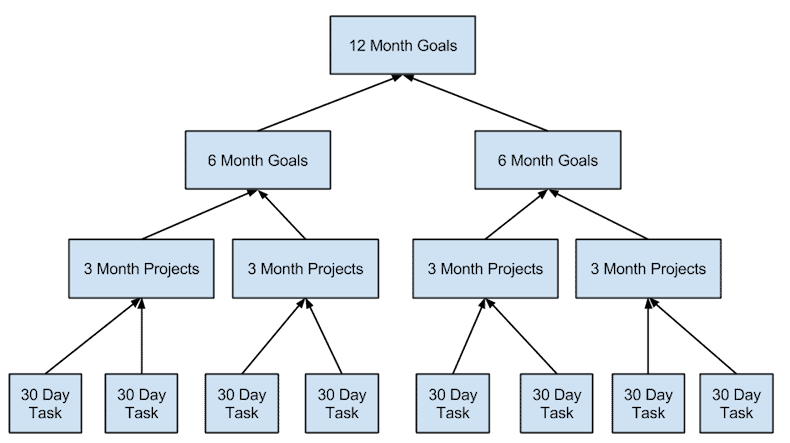 I typically lay out 12-month goals, 6-month goals, 3-month projects, and 30-day tasks. Work backwards: first, decide where you want to go in the next 12 months. That’s your 12-month goal. Next, figure out what needs to happen in order to reach that goal. These are your 6-month goals. And so on. Work backwards all the way until you have your 30-day goals. These goals get converted into tasks and executed. This method is great because it aligns your short-term tasks with your long-term goals. And you always know what needs to be done. Now that you know what needs to be done, it’s time to start executing. This is where mindset comes in. The most important thing here is that these 30-day tasks need your focus. This means your daily to-do list should only include tasks that are directly related to your 3-month projects. I challenge you to pay close attention for the next 7 days to how you really spend your time. How much time in each of those days did you spend working on the projects that directly relate to you completing that 30 days project? Chances are you are working far less on the items that push your business forward (according to the goals you just set). A big cause of this is the distraction caused by the inputs you are readily allowing. Examples include allowing others to readily contact you via Skype, Google Hangouts, email, and phone. You’re making a choice to open your email and leave Skype open. What would happen if you didn’t open any of these programs first thing in the morning and make yourself so readily available? What would happen if you got to your computer and just started knocking out those 30-day tasks? That’s hard stuff, and the hard stuff is usually what moves your business in the right direction. It’s also the easiest stuff to push to the back burner while you are answering those 100–200 emails day. These inputs that you are allowing can consume an 8-hour day before you know it. Shut off the inputs and get more stuff done. I do not answer the phone. My number is public, but I only answer it when someone from my family or a business partner is calling. No one else has the right to invade my personal time based on what’s convenient for them. I hoard it. The sales rep from Godaddy does not get the right to distract me. I don’t hear or see my phone ringing because it’s on silent and turned upside down. Just because they are calling, doesn’t mean I am answering. If someone wants to get ahold of you bad enough, they’ll leave a message (which I have set up to automatically go to my email inbox). At that point we can schedule time via email if the need is there. 95% of the time, whatever they were calling about can be handled over email, which is much more efficient. This may sound harsh, but it’s how I get real work done instead of being caught in the trenches of these inputs. I funnel everything to email and then respond to those emails on my time. Now that you’ve got your goals set and you’re in the right mindset, it’s time to find the right tools to help you meet those goals. Business productivity software is what you need. Effective productivity software helps you maximize your productivity while minimizing the amount of time you spend using it. The less intrusive your productivity software is, the better. Good productivity software strengthens your command over your projects. You can see the big picture and the direction your projects are taking like never before. At the same time, your projects will be so neatly organized that you will never miss out on any details again. Business productivity software also allows managers to get insight into their teams. Leaders can find out what each of their employees is working on at any given time (if they are actively tracking billable time). By supervising your employees, you can easily point out, eliminate and prevent potential problems. And in the endless fight to combat distractions and procrastination, productivity software helps your team focus. High-priority tasks are emphasized. Proper employee supervision will keep your employees from procrastinating during their working hours. Improved project organization will help cut out distractions by emphasizing priority tasks. Get your employees fully focused and you will reach your company’s full potential. It’s tempting to buy the lowest-priced business productivity software. However, keep in mind that you will be using the software for storing and sharing important company data. 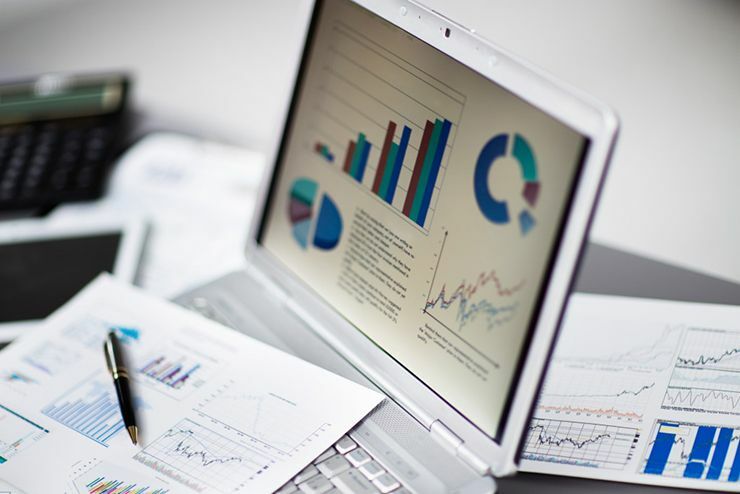 Reliability is a key factor in choosing business productivity software. There should be no compromise when it comes to the safety and security of your business data. When choosing business productivity software, you must take employee habits into consideration. 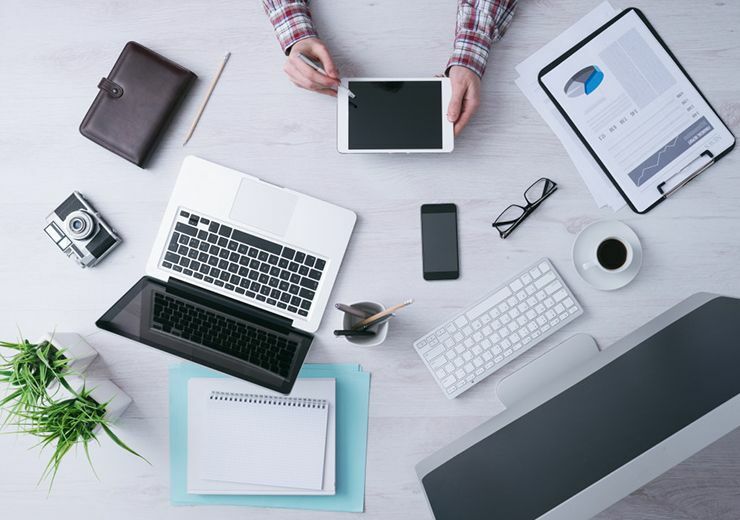 Your employees might use different operating systems and prefer different devices. The productivity software you choose must be compatible with all operating systems. Having a mobile version of your business productivity software is always a bonus. 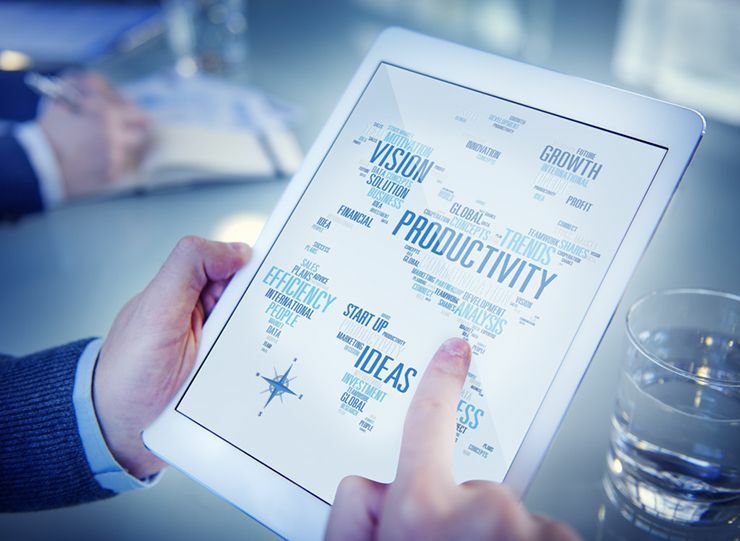 Look for business productivity software that you can access on the web, as well as Android and iOS devices. Having access to your business data on the go can definitely come in handy. Project management features are one of the central points of good business productivity software. The ideal software will give you complete control over all your projects and allow you to organize and delegate tasks easily. You should also be able to supervise the progress at all times. Proper employee monitoring is one of the keys to increased productivity. It’s easy to keep an eye on employees in a physical office, but that’s not always the case with remote workers. The right business productivity software will let you supervise your employees wherever they are. Time is the most valuable asset for any business. When you pay employees by the hour, you can’t afford to waste precious time. Business productivity software with time tracking features will help you better organize your time. Accurate time tracking saves you time, money and productivity. Your business software should make business management easy and help you optimize or even automate many time-consuming procedures. High-quality business productivity software solutions include tools for generating reports and budget-planning. Robust software solutions are also able to generate invoices and handle billing. Technology is the glue that holds my day together. Spend the time to get your systems set up right the first time and then let your systems work for you. Here are the four top tools I use, and an overview of how I use them. This is my communications platform. Almost everything runs through Gmail for me. When I want to communicate I do it through Gmail (or Hangouts). This is where we keep the huge list of items that needs to be done in our business. There are thousands of “stories” in our account. The cool thing about Pivotal is that it’s built entirely around priority. 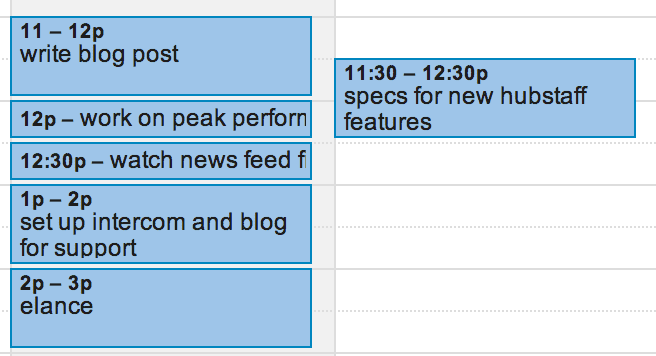 Similar to Trello and other tools, the highest priority items should always be at the top. This is where all those 30 day tasks go, and everything gets prioritized. Pivotal is a massive list of items that we can constantly reference as a team. Nothing gets forgotten. If you have a cool idea, just create a Pivotal ticket, and then forget about it until another day. This is where I keep the most important items that I want to get done for the day and week. I keep the items in one-hour blocks for the most part, and sometimes 30 minutes. These items are pulled from Pivotal just to remind me in a more “front and center” fashion. Also, any meetings that I have scheduled go on the calendar. This is where I actually track time and become accountable for the time that I spend. This is also how I keep track of all billable hours and the time my team spends. Each second is trackable, and at the end of the day you get a very good idea of how you are spending your time. In addition, at the end of the week or month, it’s very easy to understand this data from a high level, and see exactly how much time each task is taking. The goals are set at the macro level, and Hubstaff operates every day at the micro level. For technology, it’s really these four tools that rule my day. I’ve found that for me, it’s best not to get too complex. You just need to know what to do, and then have a system that keeps pushing you towards those goals (with accountability). Have you ever shown up to a meeting only to realize your notes are in your notebook—which you left at home? This could result in an unproductive meeting. Don’t chance that happening again. Evernote lets you carry a virtual toolbox full of everything you need. You can save files, pictures, web pages, and notes. You can also keep itineraries and collaborate on projects with your colleagues. The fact that you can access it from any of your devices at any time makes it a great tool for people who are often on the go, and its fantastic search features will keep you from losing your various pieces of information. It’s extremely intuitive and adaptable so it will appeal to people of all organization styles. The free plan is great for individuals and very small teams, while the Plus ($35/year) and Premium ($70/year) add features that make Evernote more useful for larger, more complicated, or more mobile businesses. There’s a lot of project management software out there, but there’s a reason that Basecamp is one of the most popular. One especially handy feature is that it integrates with so many other useful apps. Ganttify, Klipfolio, Zapier, Hubstaff, and Automate.io integrations mean you can connect just about anything you could want. With the ability to organize, communicate, delegate, and monitor, Basecamp provides a central place for you store everything you need. It cuts down on all the things that are keeping your from meeting your business’s potential: email, wasted time, duplicated effort, bad communication, and a host of other annoyances. And at $100 per month, it can be a big help to companies of all sizes. Not everyone needs complicated project management software. If your business runs on to-do lists, the business version of Wunderlist could be a great tool. You can share and assign tasks, leave comments and notes on those tasks, and upload files. And centralized administration means you can monitor and manage what’s going on with a few clicks. Even a solo entrepreneur or freelancer will find Wunderlist useful. Without the business version, you still get the ability to keep track of tasks (including recurring ones), make notes, and access everything from all of your devices. It’s one of the big names in the task list game, and there’s a reason. $5 per user per month isn’t much to pay for all of the use you’ll get out of Wunderlist for Business, either. Trello is one of our favorites here at Hubstaff. In fact, we use it to manage our entire editorial calendar. The concept is simple: Trello is essentially a digital corkboard where you move cards (which can be tasks, projects, or anything else) between lists. You can assign team members to cards, add checklists, send reminders, and all sorts of other useful things. We like it so much that we put together an entire guide on using Trello for project managment. Much of Trello’s strength lies in its simplicity—it packs a lot of power into a very easy-to-use package. Click on a card to open it, and you can easily discuss a task or see what needs to be done. Drag it to another list to recategorize it or mark it as done. It’s a very popular tool, and with good reason. The free plan is great for small teams, while larger teams will likely want the business class ($10 per month per user) or the enterprise class ($20 per month per user) membership. Keeping in touch with the people you work with is not only vital to the success of your company, but it makes everyone much more productive. When you can organize what you’re working on as well as view what your co-workers and employees are working on, you can ensure that everything is getting done. 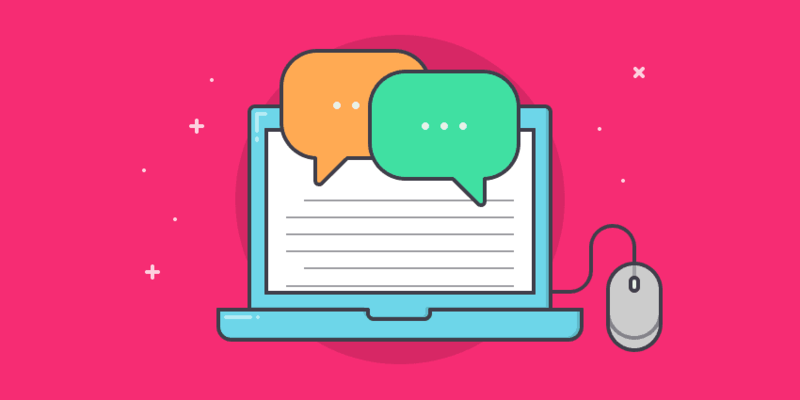 Communication is a huge part of productivity, and Slack helps you stay connected. Whether you are on the go, working from home, or at the office, you need to stay connected. Slack can replace Google Hangouts, Skype, and other instant messaging apps. And with all sorts of great functionality, like Trello integration and built-in reminders, it can help you get more done. It’s one of the apps we use most at Hubstaff. You can start with the free plan, but upgrading to the standard ($8 per user per month) or plus ($12 per user per month) is a good idea if you have a lot of users and tend to chat a lot. In our experience, we have seen that remote teams excel when they use software that combines time tracking, productivity measurement, and URL tracking. The combination of these three remote team management pillars will help you run your teams seamlessly, no matter where your employees and/or contractors are located. Time tracking is valuable for budget control and employee supervision. Managers need to be able to see how much time is being spent on different projects so they can set up the number of employees assigned to a task and estimate timelines. Remote team managers also need to plan for delays and stay alert to the possibility of any setbacks or changes in the project course. Time tracking software like Hubstaff will be able to see what work is being done and whether employees are working in a timely manner, with time reports that provide useful insights. In addition to the qualifications of individual employees, you also have to look at their ability to work well remotely. We strongly believe that your team members are your strongest asset, but they can also be the biggest liability to your business. Even the best projects can be destroyed by a mediocre team. At Hubstaff, our contractor payments are our largest business expense, but thanks to our employee monitoring software, they are a great investment. Having insight into how productive a team member is, even from across the world, simplifies finding the right team members and setting up a productive remote team. In a remote team, managers aren’t sitting in the next room ready to check upon their team at any given time. Accountability is so important in remote teams because no one is going to force them to get tasks done. Usually by the time you figure out something is behind schedule, it’s too late and the rest of the team has to scramble to cover the unfinished job. Employee internet monitoring software tracks all the websites and pages your employees visit while they are tracking time. It adds another layer to your arsenal of management tools, encourages self-discipline in your employees, and provides a precise overview of your team’s web browsing habits. Working from home opens us up to a slew of distractions, so URL tracking software allows people to monitor how they are doing and notice bad patterns in their own behavior. Many remote workers share that knowing that their activity is being tracked allows them to beat procrastination and achieve their highest productivity. And for you, as a manager, keeping your team members accountable with employee Internet monitoring will help ensure they stay on top of their tasks even if no one is constantly checking up on them. In addition to the management and self-management benefits, remote teams are usually paid by the hour. Whenever you exchange money for somebody’s time, you need to make sure you’re not just throwing your capital to waste. The use of employee monitoring software allows you to get really detailed insight in how you’re spending your money. In time, this will allow you to channel your efforts and capital in the directions that give you the best return on investment. Hubstaff provides graphs based on each employee’s browsing activity so you will know how many hours people spend browsing the Internet. In addition to the website visited, Hubstaff also tracks which sub-pages are opened, which means you can check every URL that your employees visit during their billable hours and see whether they’re browsing because of a work-related task or just wasting time. 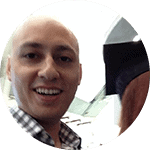 Chris Jenkins, owner of UpGiant, is a Google partner with expertise in AdWords and PPC services. He runs virtual teams and is also one of Hubstaff’s valued clients. UpGiant’s team uses the Hubstaff-Teamwork integration to increase efficiency, save time on administrative tasks and double productivity. Chris was nice enough to sit down and discuss how to increase productivity, his experience with Hubstaff and why he uses it. Check out the interview below to learn more. UpGiant is an inbound marketing agency focused on AdWords. We setup campaigns and then manage them for small businesses. We’re focused on helping our clients make more money online by gaining leads and profitable customers. Before Hubstaff, we had a rough idea how many hours were going into specific client projects but no exact figures. Integrating Hubstaff with Teamwork has allowed us to track expenses and match them to specific clients and/or client projects. Every second logged via Hubstaff is now tied to a specific client project and client task. While you can’t use activity levels to compare apples to oranges, you can use it to compare the engagement of team members completing identical tasks. Once we’ve learned the average activity level for a specific task, you can use it to identify and correct team members that aren’t pulling their weight. With Hubstaff organizations, we’re never questioned about our billable hours. Our clients know that our hours invoiced will always match our hours worked. I think it has helped increase sales and with client retention. Since migrating to Hubstaff, productivity has doubled. The time tracking activity meter has helped me spot and correct contractors with low productivity levels. Hubstaff has helped me identify contractors that waste time. 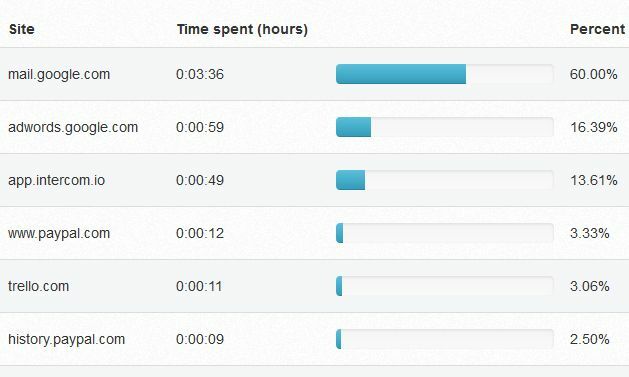 We save at least one hour every day on admin tasks thanks to Hubstaff. Why would you recommend Hubstaff? If you liked UpGiant’s success story, do share the love on Facebook, Twitter, LinkedIn or email a friend about it. What makes Hubstaff the best business productivity software? Hubstaff was founded in 2012 by two entrepreneurs from Indiana who needed a better way to manage their remote employees. The software was built by people like you, for someone just like you. Hubstaff is rich in features, yet easy to use. It includes all the essential tools in their most sophisticated form, with a focus on user experience. We aim to change the way you think about productivity by providing an all-on-one, streamlined business solution. Hubstaff has been developed by people who know what it’s like to be in your shoes. We have all the features you need, packaged into one convenient software solution. We’re here to help any company that wants to improve business processes and streamline workflow. Start your 14-day free trial now and see how the right business productivity software can transform your business. Let us know in the comments which business productivity software you use!